Quality professional treatment can be very effective in helping victims of abuse process and heal from their experiences and minimize or eliminate long term damage. There are different types of professional trauma treatment available. Finding the right therapist, type of therapy and/or medication can take time. (psychology, social work, or art therapy). They have training on working with complex trauma. They are certified in evidence-based trauma methods (EMDR, TFCBT, DBT). They have a few years of experience treating victims of abuse. They are receiving professional supervision. (this can be checked online through the local licensing board). They work at an affordable fee, one that you can manage for the duration of therapy. While trauma treatment can be very costly, there are different cost-effective options and subsidies available. Therapeutic clinics are available to provide multidisciplinary trauma treatment to victims of abuse at a highly subsidized cost or at no cost at all. These clinics are usually funded by the government and work with multiple insurance providers. They can also provide more holistic care. Many clinics are suitable for working with the Jewish communities, and have highly professional and experienced trauma specialists on board and have either no or a small waiting list. List of quality trauma clinics: to the full list PRESS HERE. Insurance reimbursement: Most insurance companies cover, at least partially, the cost of therapy. Check your insurance plan description of behavioral health or mental health services. If you aren’t sure, contact your insurance company directly. 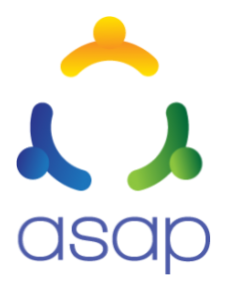 ASAP Therapy Subsidy – ASAP provides therapy subsidies for victims of abuse who are living in poverty and for whom no other sources of funding (clinics, OVS, insurance) are available. The therapy fund is administered through ASAP Member Organizations (http://asap.care/asap-members/) only. You know or suspect that a child (under 18) is currently being abused, or is at risk of being abused? act immediately ! If they are in need of emergency care, call 911 or consult with child protective services. You can call anonymously.